Kofola started producing lemon concentrate ten years ago, soon growing to become the Czech Republic’s third largest soft drink maker. The bold investment strategy and focus on strong brands was the key to success for this family-run business. KOFOLA IS THE NEW NAME OF Krnov-based producer of lemonades and fruit concentrates Santa nápoje, and the brand name of a well-known, caffeine-based soft drink for which Santa nápoje acquired the rights last year. While the history of the drink itself dates back to the Communist era, its current producer is a vivid example of a business that managed a remarkable success after the Velvet Revolution. Kostas Samaras, a naturalized Czech whose family came to Czechoslovakia from Greece in the 1950s, decided to start his own business in 1991. Samaras founded a wholesale company that imported fruit, vegetables and lemon concentrate from Greece. 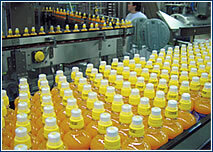 The lemon concentrate sold well, and a year later Samaras decided to bring a production line from Greece to Moravia in order to cut costs by bottling imported concentrate on the spot. 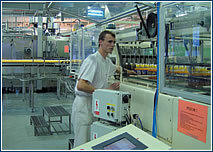 Production began in rented spaces in Opava, and in 1993 the firm was already looking for independent space for the plant. The privatization of a former state-owned soda producer in Krnov was a related opportunity, and Samaras risked taking a CZK 7 million loan from now defunct Agrobanka, using his own property as collateral. The acquisition of the 2,070 square-meter plant entailed some new production technologies, all of which were rather out of date and demanded substantial investment. In the beginning of 1994 Samaras bought a labeling machine, a syrup production line and a new bottle washer, financing the acquisitions through further loans. Figures show that this early investment paid off: although the company’s mid-year turnover in 1993 was CZK 17 million, last year revenues totalled CZK 1.3 billion. In 1995 the firm bought warehouses in Krnov and outgrew them as early as 1996, which led to a purchase of new 25,000 square-meter premises. During that year the production department was completely separated from wholesale, forming a new company, Santa nápoje, Krnov, a. s. 90% of shares remained in the family – divided among Samaras and his son and daughter – with the remaining 10% owned by management. The businessman deliberately chose to be legally registered as a share company, since banks and leasing companies consider it more transparent and trustworthy. The company’s growth demands repeated investments into buildings and technologies, for which it uses a combination of investment loans, operational loans and leasing. The growth is supported by a carefully thought-out strategy based on building a portfolio of strong brand names. “If we want to stay on the market long-term, we must have our own strong brands,” concludes René Sommer, Kofola’s economic director and Samaras’ son-in-law, who has been with the firm from the very beginning. In 1997 Santa nápoje launched its first brand, Jupí. “Jupí was our own invention. By that time we already had a portfolio of products and wanted to unify them under one brand name. So we came up with Jupí. That later became our first main brand,” recalls Sommer. The company bought its next brand, grape-flavored Top Topic (another product popular under Communism) in 2000. “Before making a decision to buy this brand we did some market research, as it had been off the market for four or five years,” Sommer says. Santa nápoje was surprised to find out that despite its long absence, Top Topic became the second most well-known brand after Vinea. Last year Santa nápoje added one more strong name to its portfolio of brands – Kofola, bought from Czech pharmaceutical company IVAX-CZ for CZK 215 million. “We believe that these brands (Kofola, Top Topic) have potential, that they were not forced out of public conciousness by Coca-Cola, Pepsi and other imported beverages,” Sommer says confidently. “Research shows that Czech people still have some feelings for these brands.” Before the acquisition (since 2000) Santa nápoje had a license for production and sales of Kofola in the Czech Republic and Slovakia. Currently the company’s portfolio is made up not only of its own brands (which account for up to 97% of annual turnover) but also brands that Kofola produces or distributes for other companies, such as Cott Beverages, Novartis Czech and Royal Crown Cola International. Licensed production includes such brands as RC Cola, Isostar, Ionto and Shark. Kofola employs a total of about 500 workers, and has several subsidiaries set up to cover the company’s various needs. Santa-Trans, founded in 1997, provides transportation services for Kofola, and although they also service other businesses, Kofola’s account makes up 90% of Santa-Trans’ annual turnover. Santa-Logistic was established in 1999 and deals with real estate acquisitions. In 1998 a daughter import company was opened in Slovakia, which was supplemented by production facility built in 2002, employing over 100 people. One of the tasks the firm now faces is cleaning the market of counterfeit Kofola, a practice that is especially popular in Slovakia. Sommer says that his company is involved in lawsuits concerning brand rights. Nevertheless, Kofola plans further expansion to Poland, where it will set up a subsidiary to test the market. After the countries join the European Union, Kofola will make a strategic desicion about how to get established on the Polish market. Marketing mixSince Kofola decided to focus on strong brands, marketing has been the key to create public awareness. In 2002 the company spent CZK 210 million from its CZK 1.3 billion turnover on marketing and advertising. Marketing manager Janis Samaras says that media advertising, mainly television commercials, account for about 30% of the marketing mix. Since every brand has a different target group the marketing strategy varies accordingly. For example, promotional activities for Jupí target families with children, while Top Topic is aimed at consumers between 20 and 35 years old. In two years of selling Kofola, the company managed to boost brand awareness from 5% to 17%, according to AVE Marketing statistics. Samaras says that his company carried out a re-launch campaign for Kofola in 2000 and 2001 that raised sales several times over. Kofola increases sales support activities in the spring and fall seasons that precede sales peaks. According to Samaras, the firm’s products have the highest turnover from April till August, and then again during the Christmas season. On the shelvesKofola’s economic director René Sommer is convinced that choosing supermarket and hypermarket chains as main distribution points for his firm’s products was a decision that secured success. “We focused on supermarket chains very early. 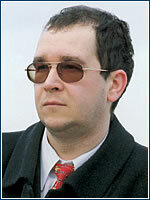 We felt that they would become the main sales sources,” says Sommer. In 1996-1997 Santa nápoje conducted research that confirmed its ideas about Czech shopping preferences. 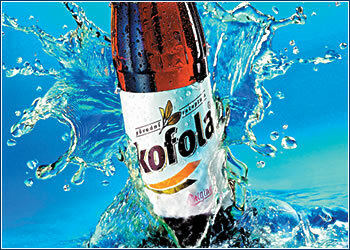 Kofola currently sells to all major super- and hypermarket chains, which account for about 65% of all sales. Based on customers’ needs, Kofola delivers its products to their distribution warehouses or individual shops directly through its transport subsidiary Santa-Trans. Kofola also sells to Czech chains including Koop Morava, Koop Centrum and Čepos, as well as other independent wholesalers all over the Czech Republic.